Yesterday was Fred Moore's birthday. As Marc Davis said once: "Fred WAS Disney drawing!" Ollie Johnston talked often about how much he learned from him, while he was Fred's assistant and during the years that followed. 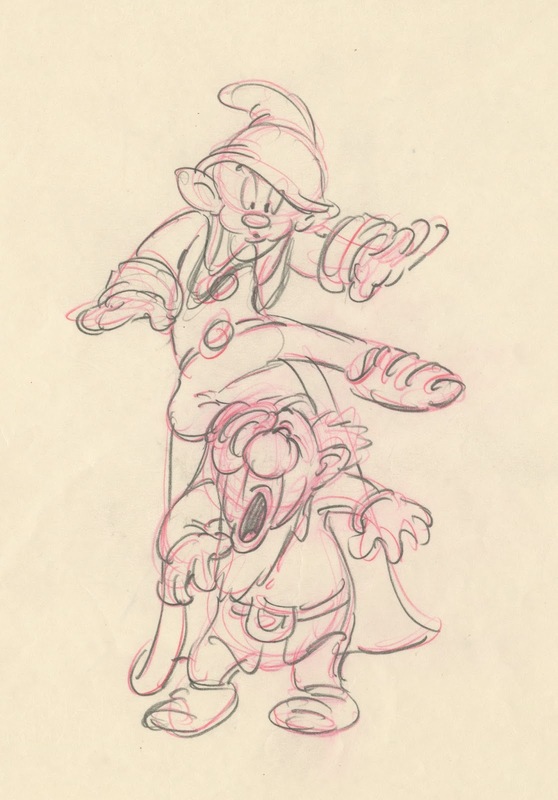 Kimball, Frank Thomas and Milt Kahl had nothing but praise for Moore's work. No wonder Walt Disney sent most of his animators to see Fred, in hopes that some of the genius would rub off on to others. And it did. Because of his gutsy use of squash and stretch and his dimensional, appealing drawing style, Moore established what Disney characters (the cartoony ones) were made of: some kind of doughy, squishy substance, that is enormously fun to watch in animation. 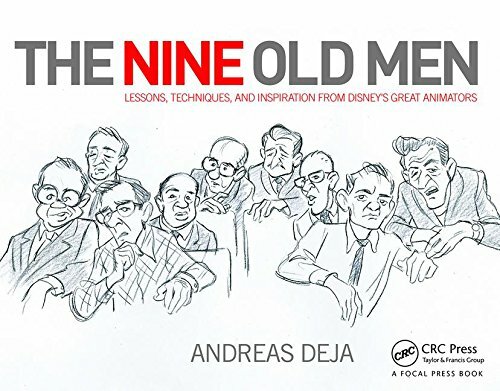 I would say that his type of drawing and design influenced Disney's features from Snow White on, to Pinocchio, Fantasia and Dumbo. 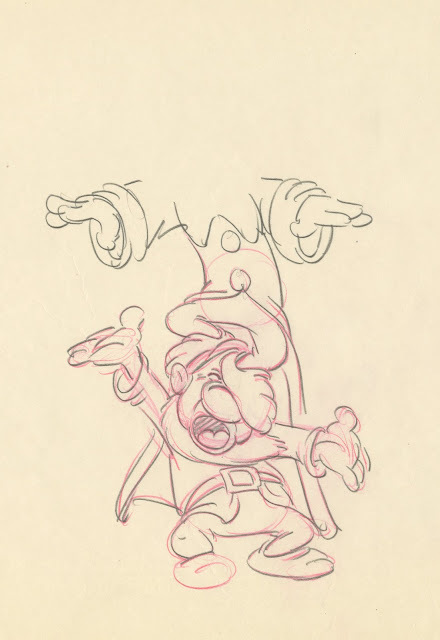 By the time Bambi went into production Milt Kahl had taken over the role of the studio's drawing policeman.